We survived the first week, lots of learning all around and you guys came up with some seriously beautiful blocks, I am so amazed at all the beautiful colours you chose! There were 15 blocks submitted and Stephanie Plant was the winner of the teacup pincushion! 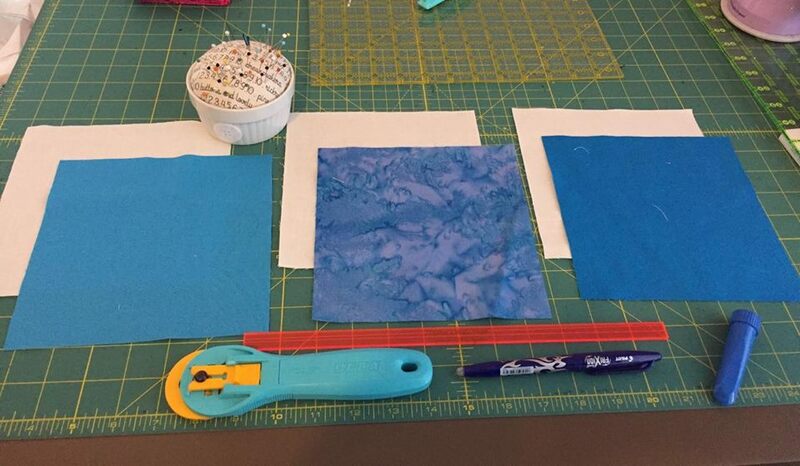 Tania has a gorgeous block for us this week and I am so excited to see what you all create! We have an awesome sponsor and a super cute prize! Don’t forget to put #sewottawaweek2 on your block posts so we can easily find them! And we are out of the gate! Everyone is off to a smashing start with their first blocks. I truly enjoyed seeing each completed block from Week 1. 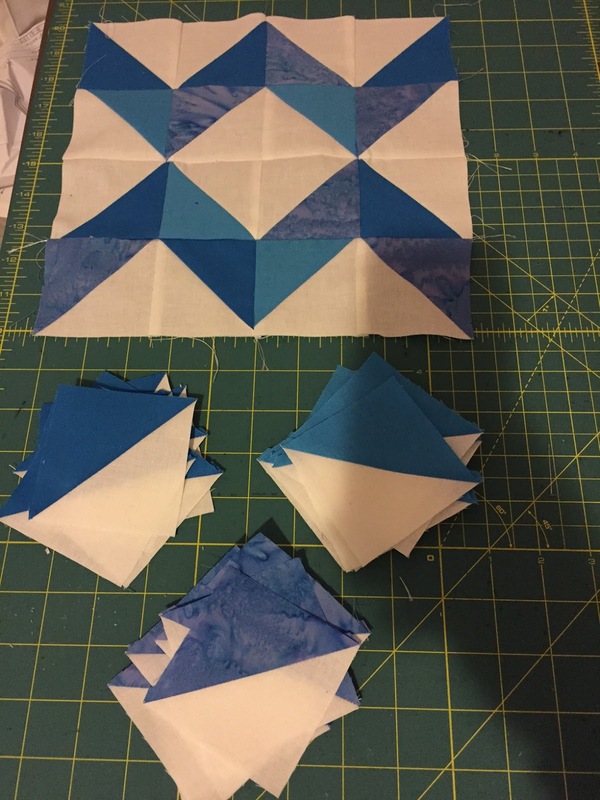 I’m loving your fabric choices and your blocks are gorgeous! Thanks so much for your feedback as we walk through this together. Keep it coming. For those of you not in our local Facebook Group, Colleen of Sewing for Sawyer kindly summarized some extra thoughts here. We (the Ottawa Sewing Community) are so spoiled with amazing resources, businesses and talent. 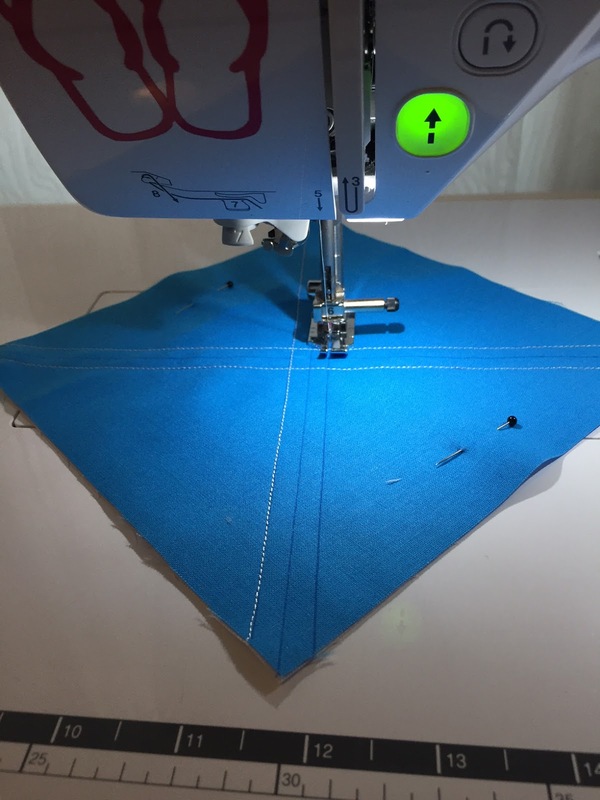 One local business that should be on your radar is The Ottawa Sewing Centre. They have kindly agreed to be our HST Week 2 Sponsor and have kindly donated a cute tin packed with Beissel sewing machine and serger needles. The Ottawa Sewing Centre is owned by Yasmin and her husband Zuher. They are Brother, Babylock and Juki dealers, Zuher is a fully trained technician and together they stock some brilliant supplies. I personally like to pick up my essentials here and have also purchased a serger from Yasmin. In my opinion, they are very knowledgeable and their customer service is fantastic! So let’s get started on Block #2! As you know, each week we will work through a new block design. This week we will make a 10.5″ Chevron block. There are many different ways to make half square triangle squares to construct your block. Colleen demonstrated an excellent method in Week 1. 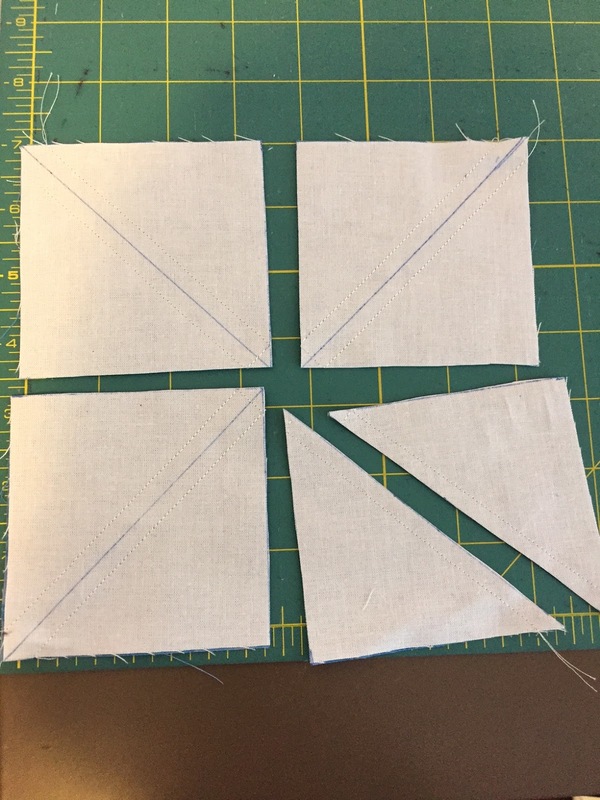 If you have directional patterns on your fabric, or if you have already pre-cut all of your squares – continue using the method outlined in Week 1. 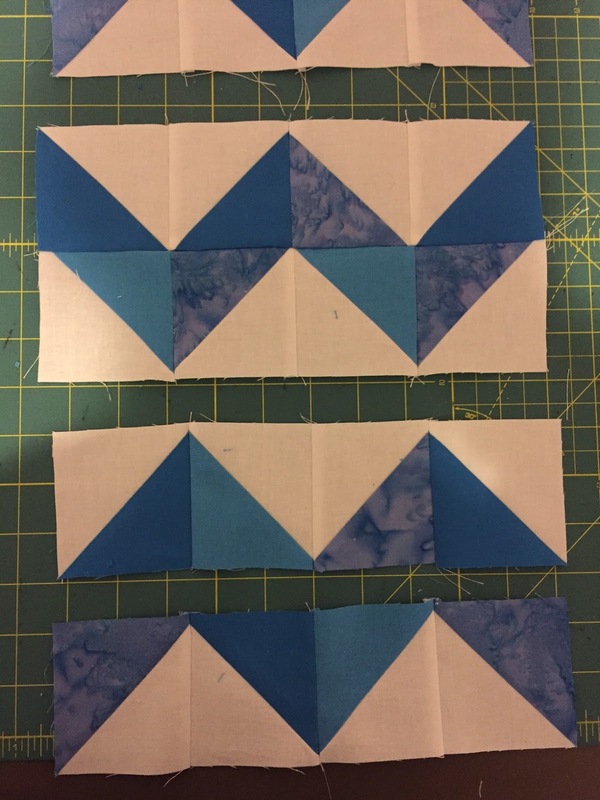 I am going to walk through a slightly different way to create your HST squares, 8 at a time. 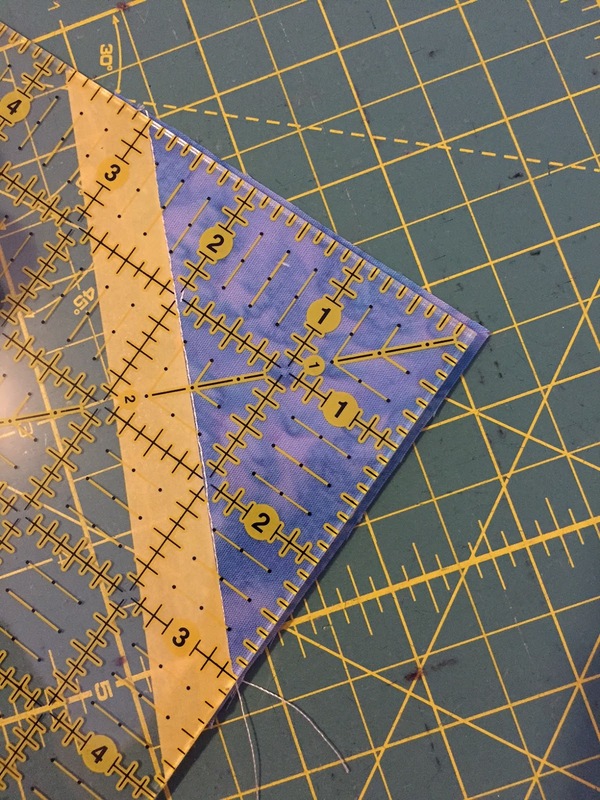 Our goal is to create sixteen, 3″ HST squares to complete our chevron block. 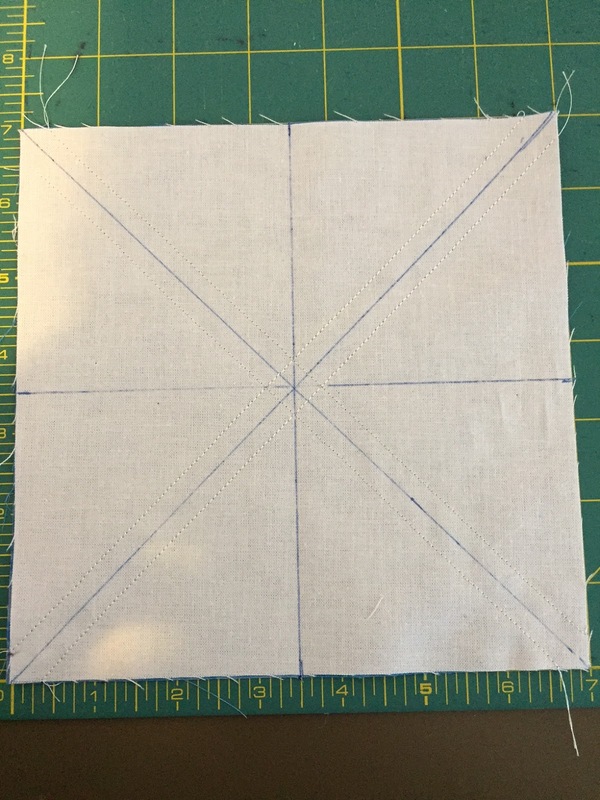 To do so, start with two 7″ main squares and two 7″ contrasting squares. 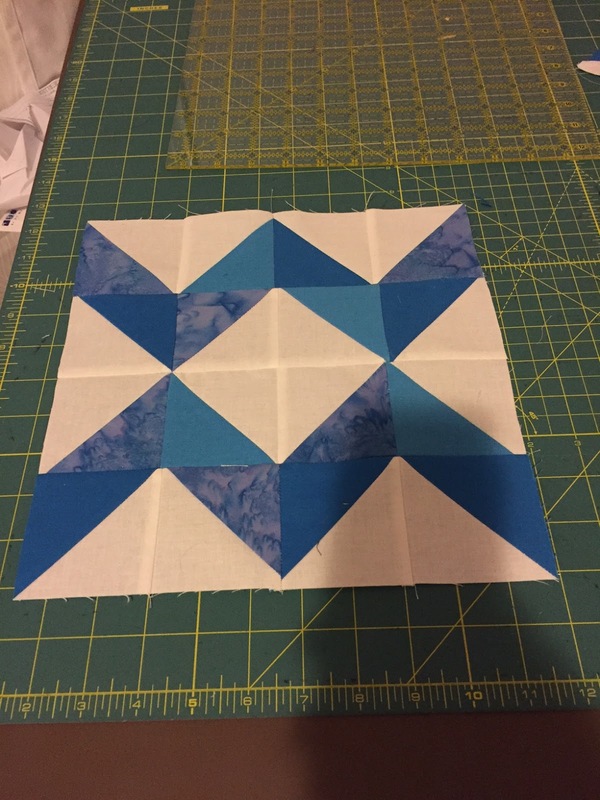 This will give you enough HST squares to create the block. In my case, I wanted to use 3 types of contrasting fabric in this block as a design element. 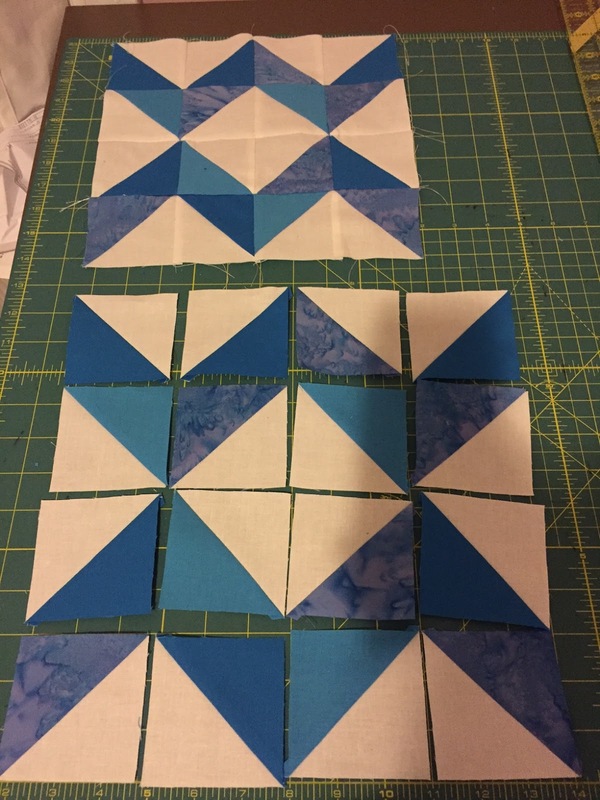 As a result, I was left with 8 extra HST squares that I will use in another block. Place one main and one contrasting 7″ square right sides together (rst) and pin in place. 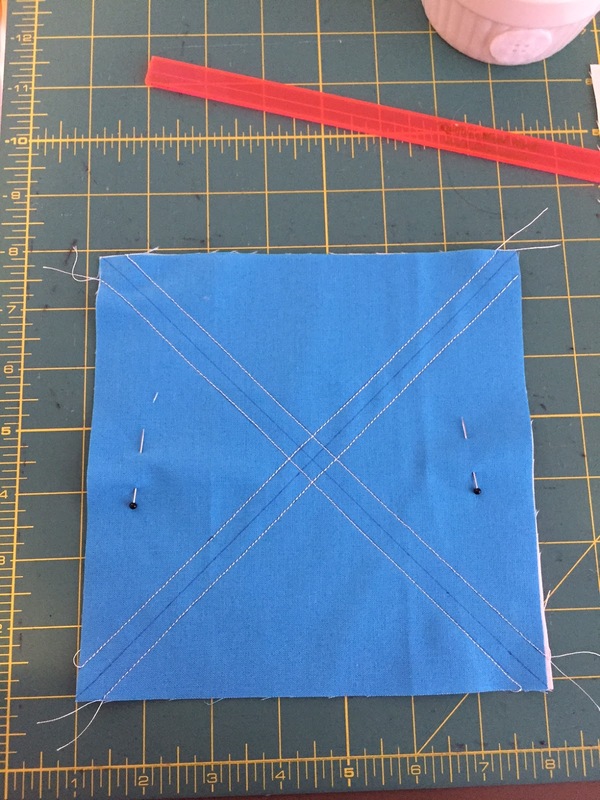 I am using a “Quilter’s Magic Wand” to draw on my sew-lines 1/4″ on either side of the square’s diagonals (optional method). Sew along your traced sew-lines. 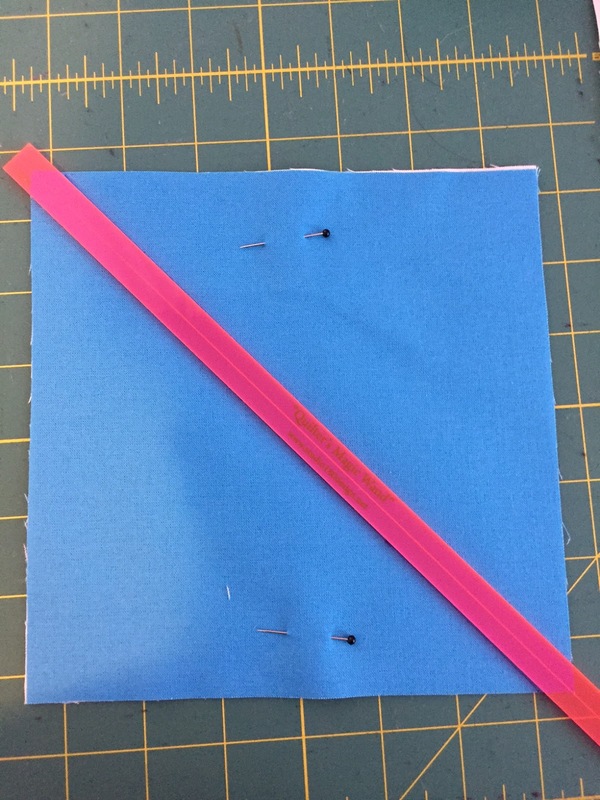 “Using a ruler and a pencil… you will want to line your ruler up from one tip of the square to the other tip as seen in the below image. Draw a line connecting these mid-points. The blue lines below show your cut lines. I suggest cutting your square into 4 squares first. 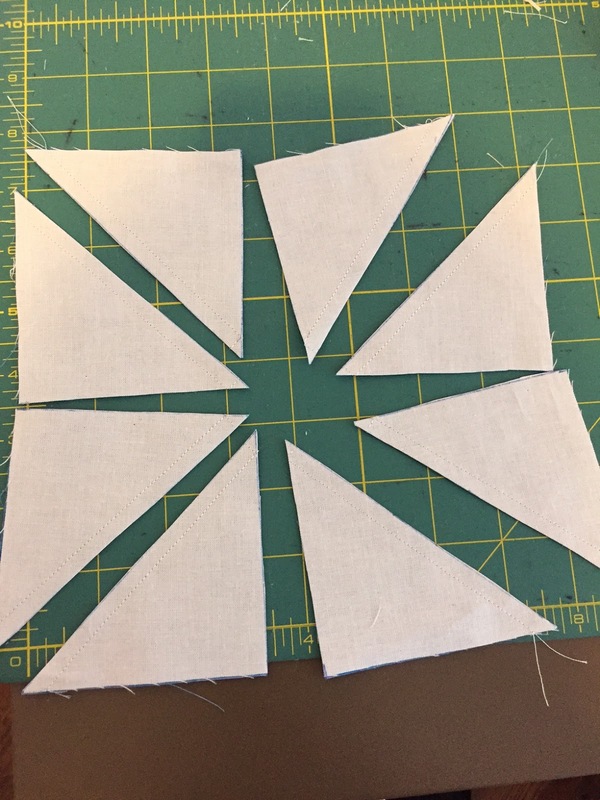 I find it’s easy as your corner-to-corner cuts are reinforced by your straight-stitches. Boom! 8 HST squares magically appear! Ok, it’s not magic, you still need to square up your squares and press them. Quilting is like baking – there are many different ways to accomplish the same thing. I was taught the way Colleen demonstrated in Week 1; however Jan Kittle, the owner of the Pickle Dish, showed me how to square up before pressing and I love it. For me, this has given me more consistent results. You decide for you! 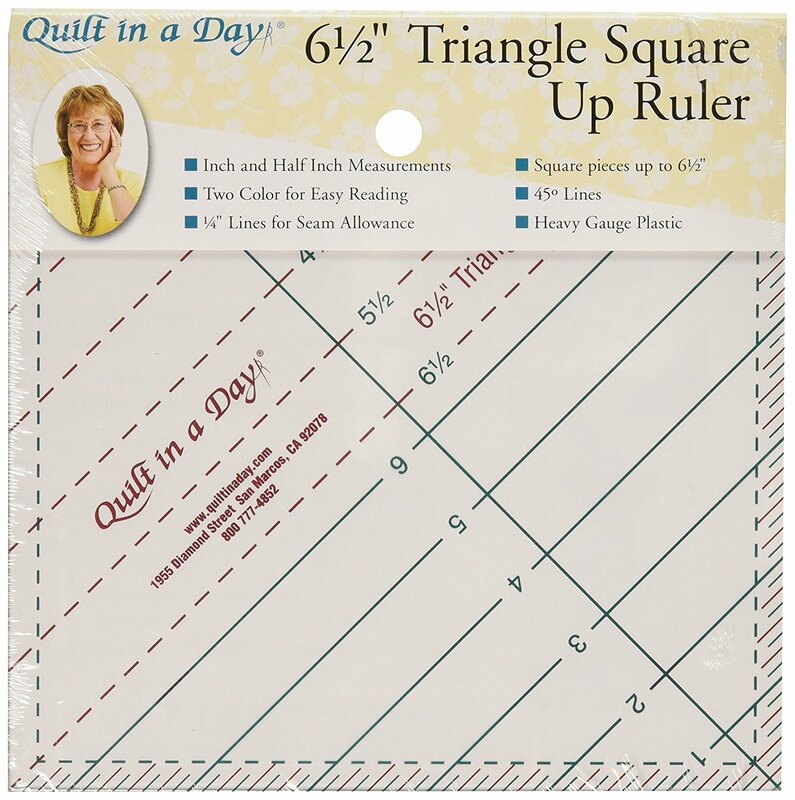 I’m using this “Quilt in a Day” HST ruler to square up my blocks, however I’ll show below how you can use your regular acrylic ruler that you likely already have. 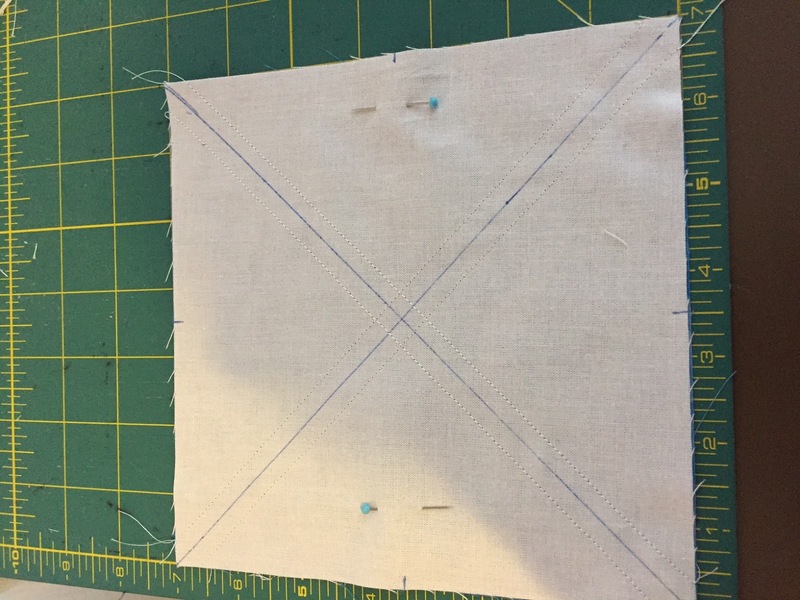 Since we are making 3″ HST Squares, place the 3″ line of the ruler along the straight stitch that you’ve created. 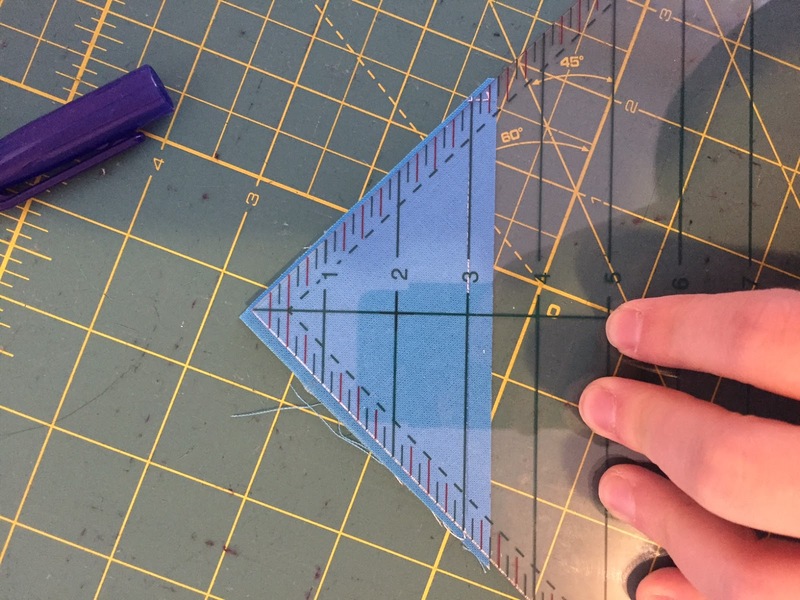 Trim the square by running your rotary cutter from the straight edge of the ruler through past the corner. Try not to start at the corner or you run risk of dulling your blade, damaging the ruler or your fingers. Once trimmed up, go back and trim the corners off at 60 degrees (or you can do this after pressing like Colleen demonstrated. 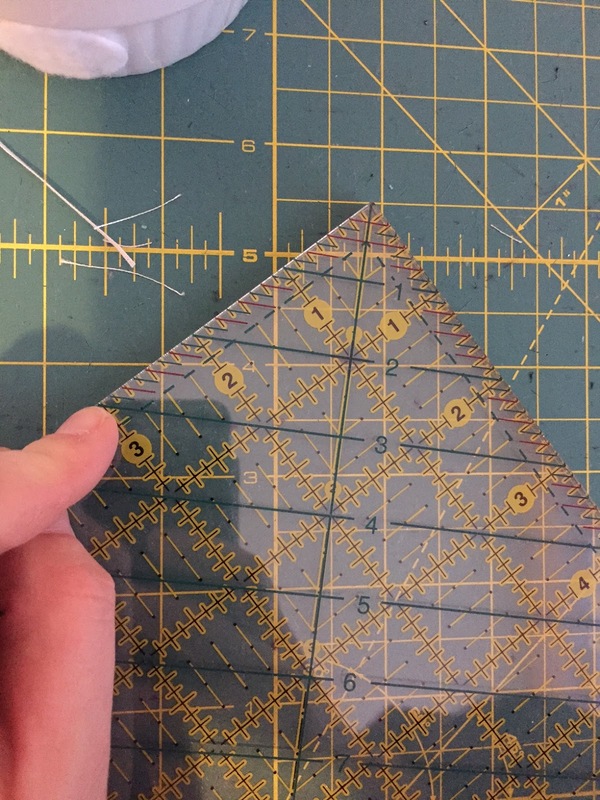 You do not need this nifty ruler to trim your blocks like this. 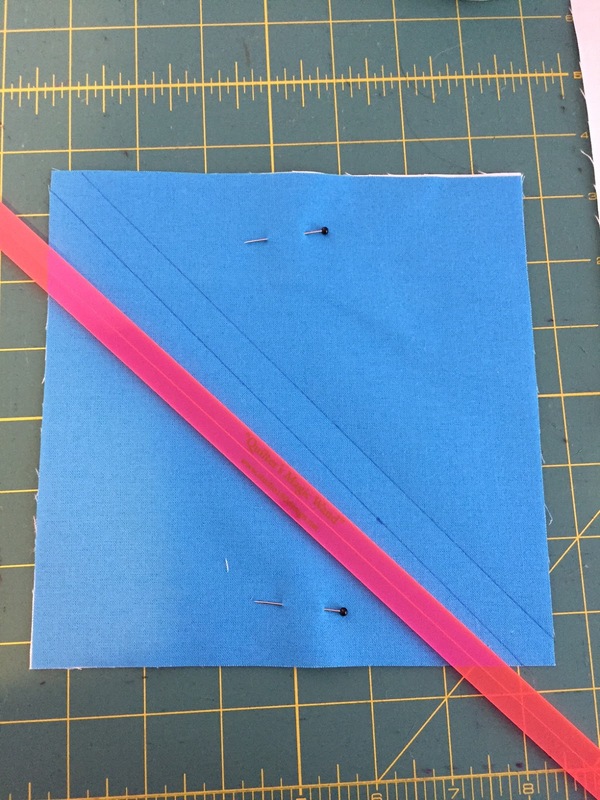 Blogger Katy of Lethargic Lass, kindly pointed out that you can use your regular ruler and a piece of tape (obviously!). I like this little gadget, but also, I’d love less “things cluttering up my work station”, so just use some dang tape! To show you what I mean, I’ve stacked my nifty ruler over top of my regular ruler. If you look closely, the 3″ line of the nifty ruler, of course lines up with the 3″ marks on either side of the corner on my regular ruler. Slap some tape on the underside and continue with this method if you’re keen. Now that your 16 HST squares are squared off, go ahead and press them open to the dark side. This is the fun/stressful part! Arrange your squares to recreate the chevrons. I am not great at the design aspect. I often will ask for the opinions of my quilty friends as I like asymmetry but also balance and I never know how to get myself there. Pop on over to our local Facebook group if you get stuck, or have had too much wine, or would just like some feedback. Sew your rows together as Colleen demonstrated in week 1. 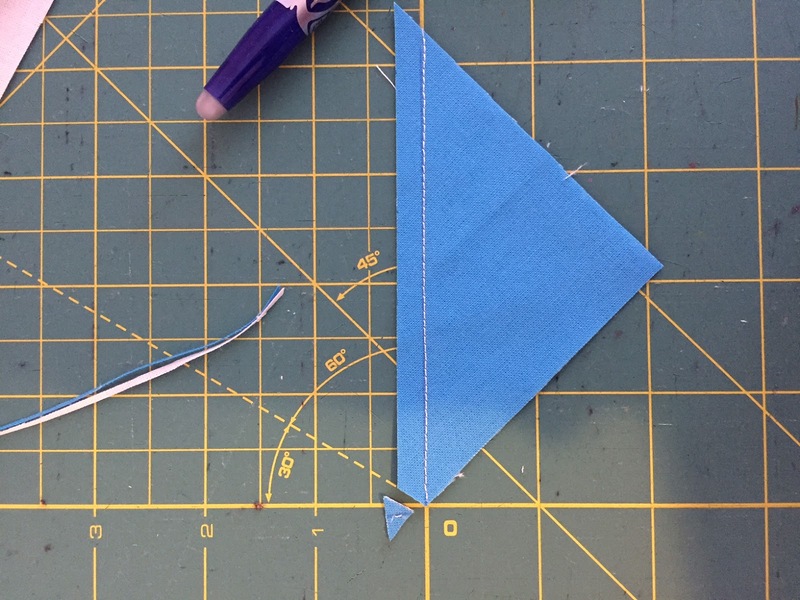 Press your Seam allowances to the left for odd rows and to the right for even rows. Sew your rows together and press. Congratulations! You have completed your second, HST block! I just love how this simple technique can create so many different looks. Please remember to share your completed block, ask any questions and share any tips in our local Facebook group! 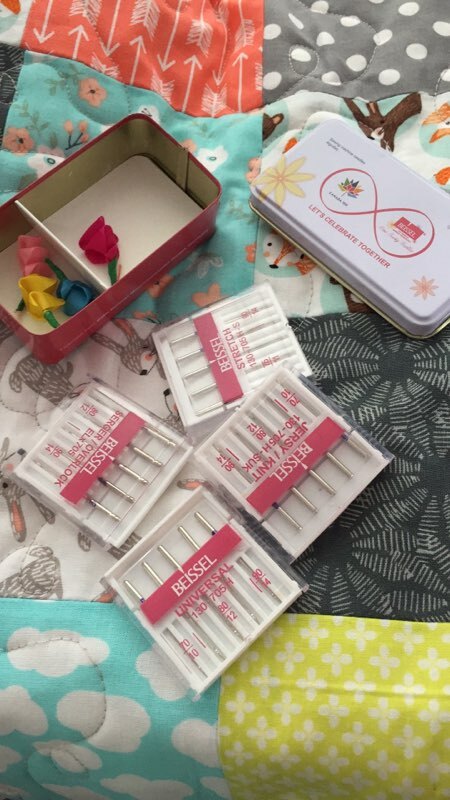 Everyone who completes a block gains an entry into a draw to win this cute tin, packed with Beissel needles. This prize has been kindly donated by our Sponsor, The Ottawa Sewing Centre. 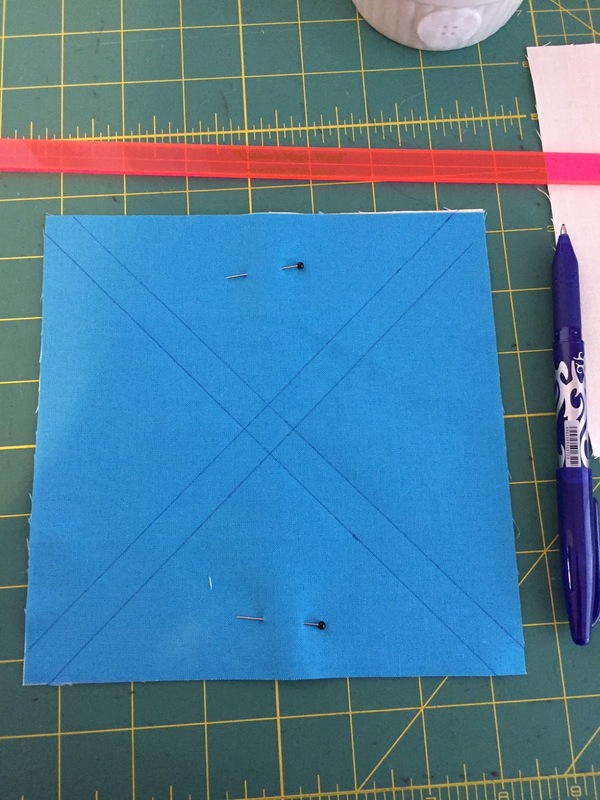 Join us next week as Colleen of Sewing for Sawyer walks us through our 3rd block!